College Park, Md. 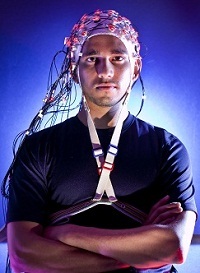 - "Brain cap" technology being developed at the University of Maryland allows users to turn their thoughts into motion. Associate Professor of Kinesiology José 'Pepe' L. Contreras-Vidal and his team have created a non-invasive, sensor-lined cap with neural interface software that soon could be used to control computers, robotic prosthetic limbs, motorized wheelchairs and even digital avatars. Scientists have automated the measurement of a vital part of the knee in images with a computer program that performs much faster and just as reliably as humans who interpret the same images. 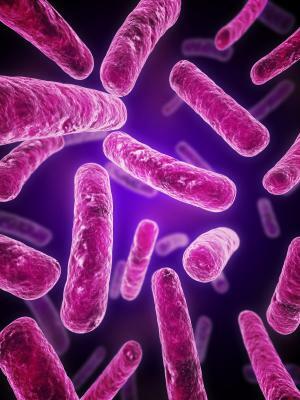 Technological advances in high-throughput DNA sequencing have opened up the possibility of determining how living things are related by analyzing the ways in which their genes have been rearranged on chromosomes. 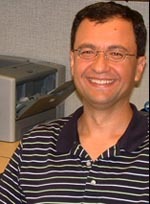 However, inferring such evolutionary relationships from rearrangement events is computationally intensive on even the most advanced computing systems available today. A patient shows up at a hospital after having periodontal work done that morning. The problem, she says, is that her gums haven’t stopped bleeding, although it has been several hours since the procedure. With that setup, physicians and medical students in training follow a real-world case, complete with test results, audio of heartbeat, and photos of the condition. Using an online interactive interface, they can order tests, examine results, and answer questions on where to delve next. The patient’s case is part of a new collaboration between physicians at Harvard-affiliated Brigham and Women’s Hospital and the venerable New England Journal of Medicine (NEJM) to bring traditional case-based teaching into the Internet age. Medical clinics the world over could benefit from new software* created at the National Institute of Standards and Technology (NIST), where a team of scientists has found a way to improve the efficiency of a pneumonia vaccine testing method developed at the University of Alabama at Birmingham (UAB). Pneumonia is the world's leading cause of death in children under five years of age and poses a serious risk to elderly adults. The leading cause of pneumonia worldwide is the pneumococcus bacterium, which also causes meningitis, sepsis and other complications. Pneumococcus has more than 90 strains that vary by geographic region and change over time. Consequently, ongoing testing is necessary to monitor existing vaccines and advance new ones. US researchers have created 'bacterial computers' with the potential to solve complicated mathematics problems. The findings of the research demonstrate that computing in living cells is feasible, opening the door to a number of applications. 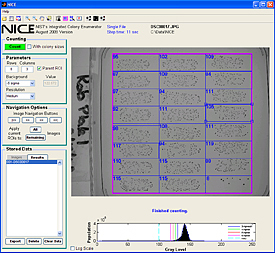 The second-generation bacterial computers illustrate the feasibility of extending the approach to other computationally challenging math problems. A research team made up of four faculty members and 15 undergraduate students from the biology and mathematics departments at Missouri Western State University in Missouri and Davidson College in North Carolina, USA engineered the DNA of Escherichia coli bacteria, creating bacterial computers capable of solving a classic mathematical problem known as the Hamiltonian Path Problem.